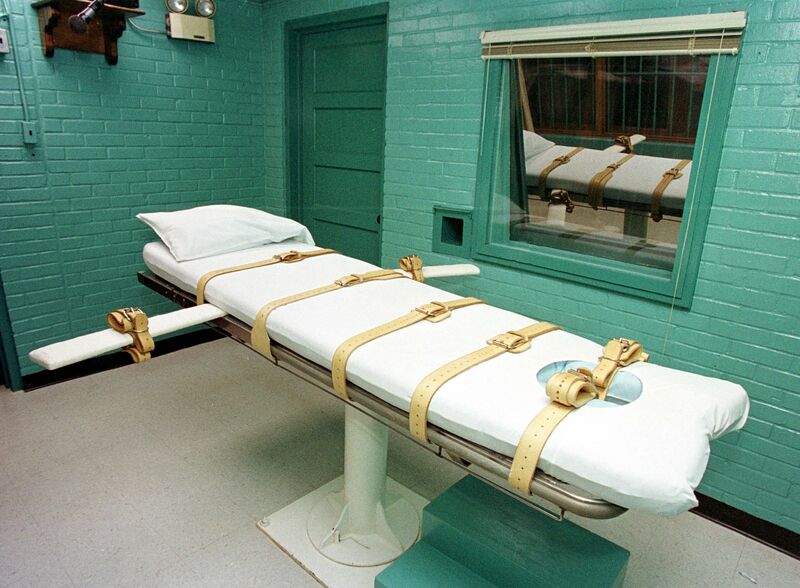 The Supreme Court seems poised for a forceful shift on the death penalty, after a recent 5-4 decision unexpectedly signaled an important change to the justices’ approach to capital punishment and the Eighth Amendment. Though it is too premature to make definitive statements about the Court’s direction, the April 1 decision in Bucklew v. Precythe suggests the newly entrenched conservative majority may well be the most execution-friendly bench in decades. “The opinion’s unequivocal statement that capital punishment is constitutional is encouraging,” he added. Writing for the majority, Justice Neil Gorsuch plainly indicated the Court would not use its authority to curtail executions, arguing that judges should defer to democratic choices, the interests of the victims, and the speedy administration of justice where the death penalty is concerned. Chief Justice John Roberts and Justices Clarence Thomas, Samuel Alito, and Brett Kavanaugh joined Gorsuch’s majority opinion. The Bucklew case arose in Missouri, where capital inmate Russell Bucklew argued the state’s lethal injection protocol was unconstitutionally cruel and unusual as applied to his case. Because of a rare medical condition, Bucklew’s throat is packed with blood-filled lesions. Some medical experts believe those lesions could rupture when the injection is administered, causing Bucklew to choke on his own blood as he dies. As is increasingly typical of death row inmates, Bucklew’s execution was stalled for some 20 years. He first exhausted his post-conviction appeals — which ran for a decade — then joined other convicts in legal challenges to Missouri’s lethal injection cocktail. He filed the lawsuit on which the Supreme Court ruled in 2014, two weeks ahead of a scheduled execution date. Frustrated at such lengthy delays, Gorsuch admonished convicts for using bad faith litigating tactics to defer the inevitable, drawing rebukes from Justice Sonia Sotomayor. To emphasize the importance of timeliness to capital cases, Gorsuch cited a February decision in which a 5-4 Court refused to stop an execution in Alabama. In that case, an inmate called Domineque Hakim Marcelle Ray asked that his execution be put on hold so he could challenge a state policy that forbade his Muslim chaplain from providing pastoral care in the execution chamber. Under the current policy, the only spiritual advisor qualified to enter the chamber during administration of the death penalty protocol is a Christian. Ray argued that practice violates that Constitution’s ban on religious favoritism. The Court allowed Ray’s execution to proceed nonetheless, saying he waited too long to raise the issue. Writing in a separate dissent, Sotomayor chided the majority for broaching the timing matter at all, arguing it was not relevant to the disposition of Bucklew’s case. She also noted that the majority opinion’s statements on that subject were mere “dicta,” meaning non-binding. Whatever the opinion suggests about future of Eighth Amendment cases at the high court, Scheidegger agreed that the decision will have little practical effect in terms of speeding executions. “The Court has said similar things before, but it may be useful for those arguing against stays in lower courts,” Scheidegger told TheDCNF. In recent years the Court has established that inmates challenging a method of execution on Eighth Amendment grounds must show that there is some alternative means of execution available that the state has disregarded without good reason. In a short separate opinion, Justice Brett Kavanaugh emphasized that the Court held for the first time in Bucklew’s case that inmates could propose an alternative not authorized in state law. Kavanaugh tentatively suggested the firing squad might be “a feasible and readily implemented alternative” in many states, which causes a quick death with little risk of error. The firing squad remains available to death row convicts in Mississippi, Oklahoma, and Utah, according to National Public Radio. The retired Justice Anthony Kennedy occasionally voted with the liberal bloc in capital punishment cases. Though skeptical of method of execution challenges, Kennedy joined majorities shielding juveniles and the intellectually disabled from execution. As Kennedy’s successor, Kavanaugh is poised to play a decisive role in Eighth Amendment cases. “While Justice Kavanaugh appears to be less favorable to murderers than Justice Kennedy was, he may end up being the ‘swing vote’ on these issues,” Scheidegger told TheDCNF. Public surveys show the public supports capital punishment by a significant margin.